Rehau, white uPVC A-rated bay windows with 18mm white Georgian bar inserts. Alex Dobson Windows and Doors Limited also fitted new windows to rest of house. 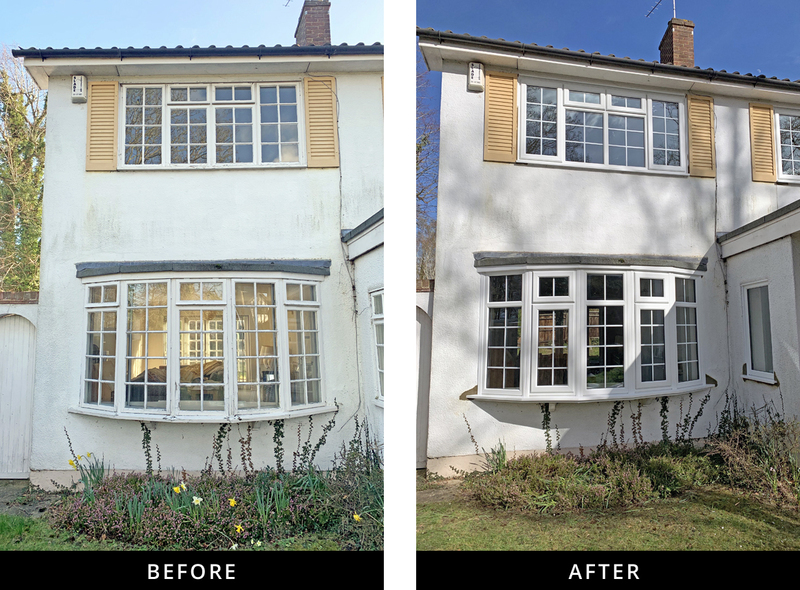 If you want to capture the look of a traditional vertical sliding sash windows for your property then Alex Dobson Windows and Doors Ltd recommend uPVC Evolve sliding sash windows. 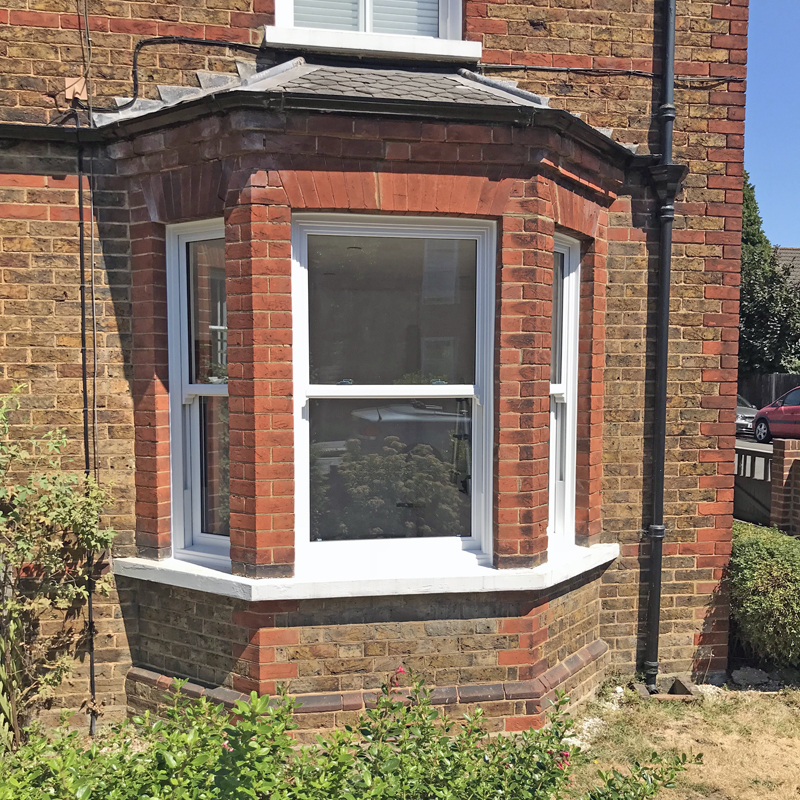 We fitted these in Epsom in white uPVC. The French doors were taken out and the opening enlarged. 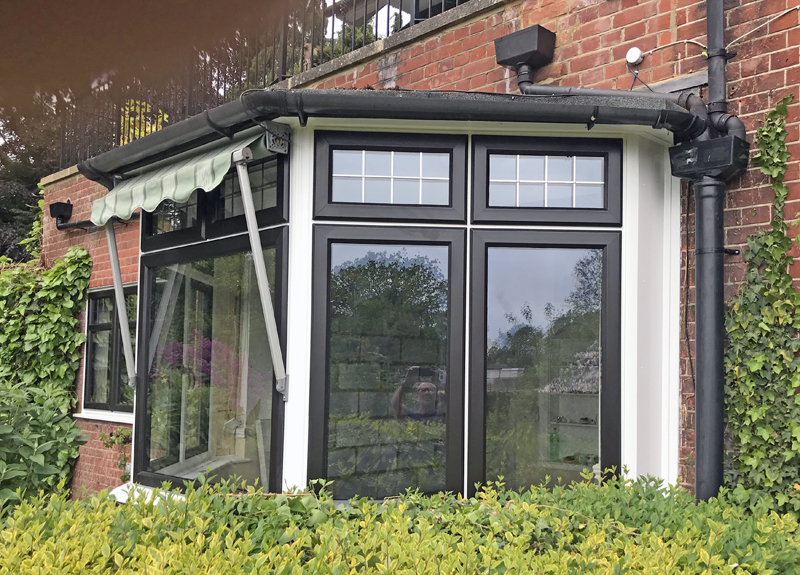 A new lintel was fitted and new French doors fitted in anthracite. Windows at front of house where changed from side opening windows to sliding sash windows. The upstairs window was made bigger by removing two courses of bricks at bottom and then made good. 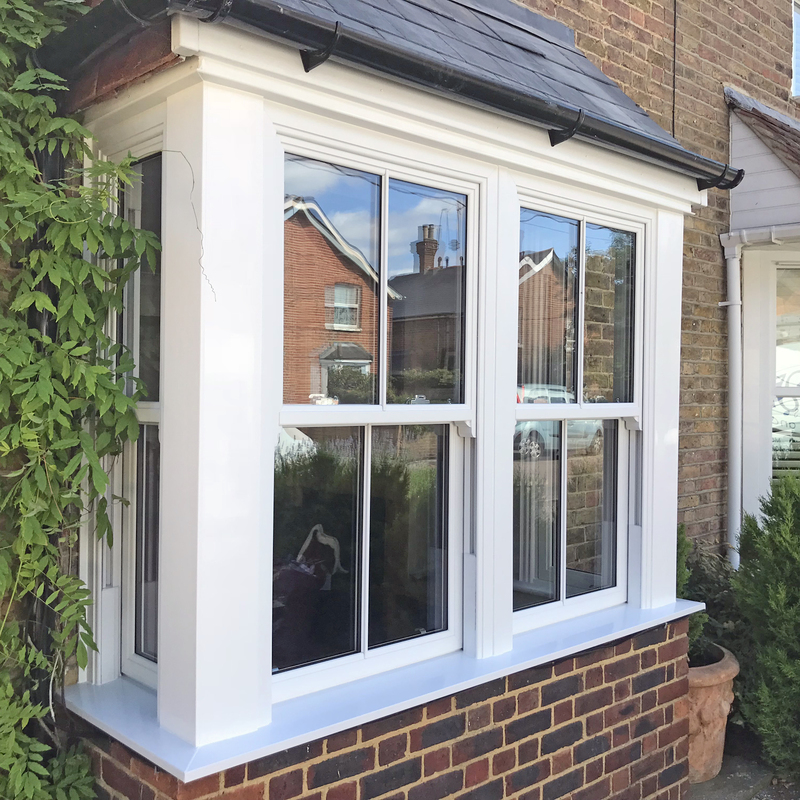 Here are some photographs of our recent project in Hook Heath, Woking, featuring white frames, black sashes, bay and window installations. Equal sightline with leaded light fanlights at top. We also re-fitted customer’s electric awning after the new window installation.